You guys! It’s only a few weeks to go until one team plays another team while I eat delightful food and watch puppies vie for the title of Most Valuable Puppy. So excited to share this easy game day treat! These Baked Honey Garlic Wings are super low effort and really hit the spot. Hope you love them! Preheat oven to 425 degrees. Line a baking sheet with foil and grease with cooking spray. 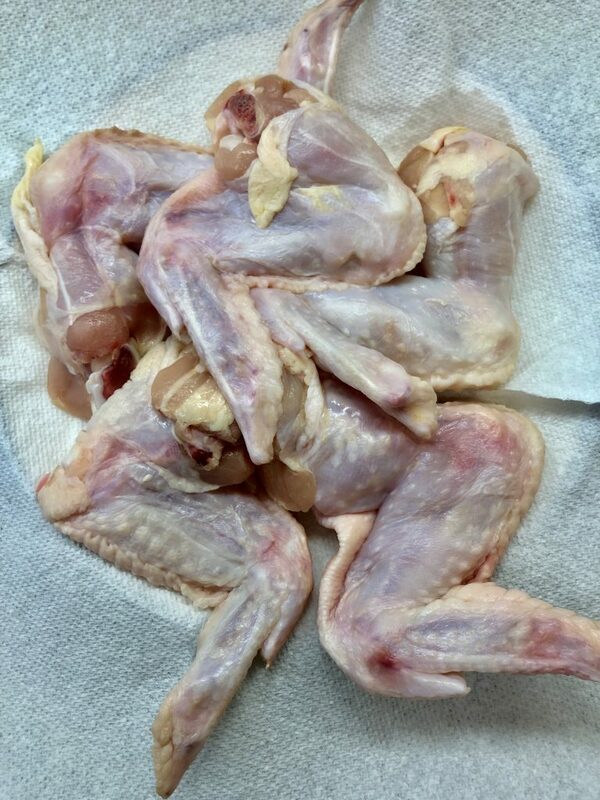 Pat the chicken wings dry and set aside. In a small bowl combine the salt, black pepper, brown sugar, garlic powder, onion powder, baking powder and cayenne (if using). Add the combined spices and chicken to a large ziploc bag, seal and shake to coat. 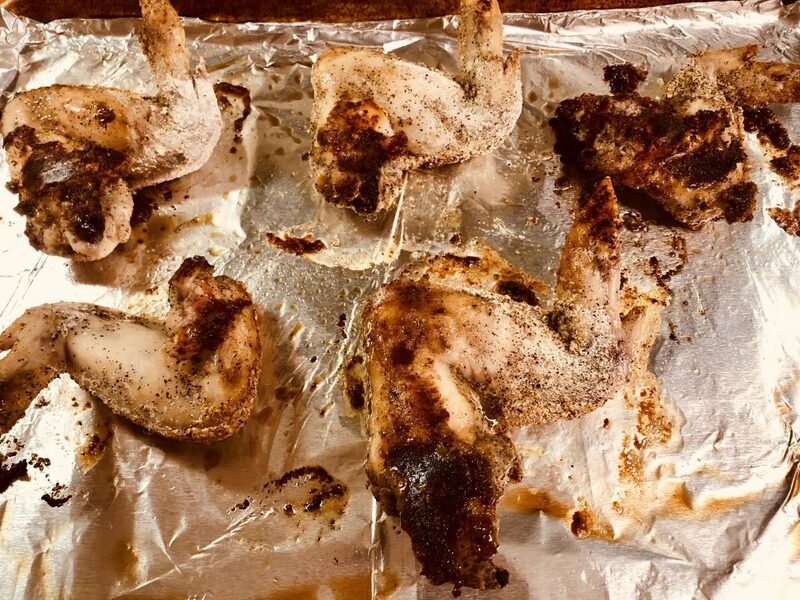 Place the coated wings on the prepared baking sheet and bake for 30 minutes. 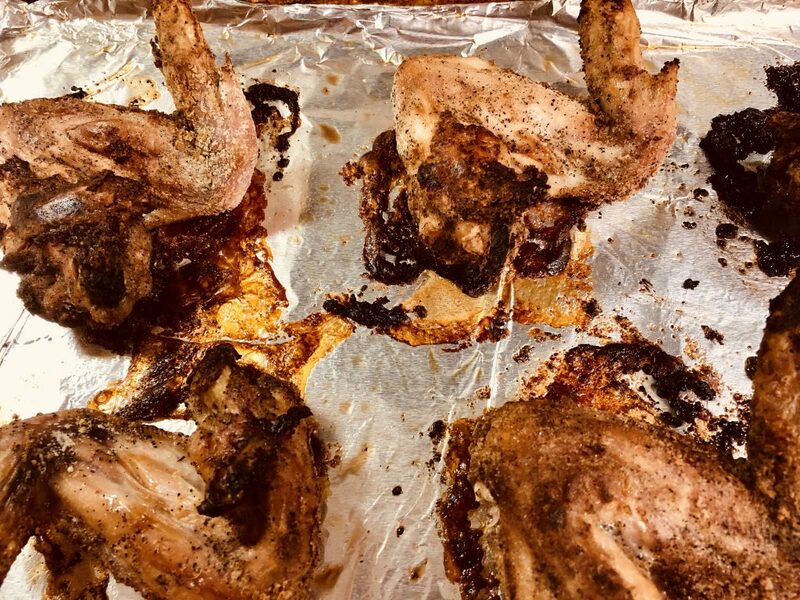 Flip the wings and bake for another 30 minutes. While the wings are baking, prepare the sauce. 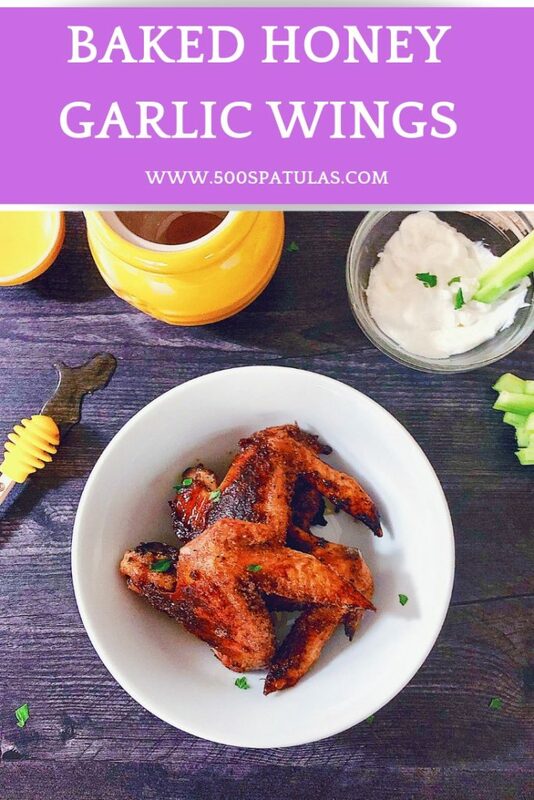 Remove the cooked wings form the oven and toss in the prepared sauce. Serve and enjoy! Preheat oven to 425 degrees. Line a baking sheet with foil and grease with cooking spray. Pat the chicken wings dry and set aside. In a small bowl combine the salt, black pepper, brown sugar, garlic powder, onion powder, baking powder and cayenne (if using). 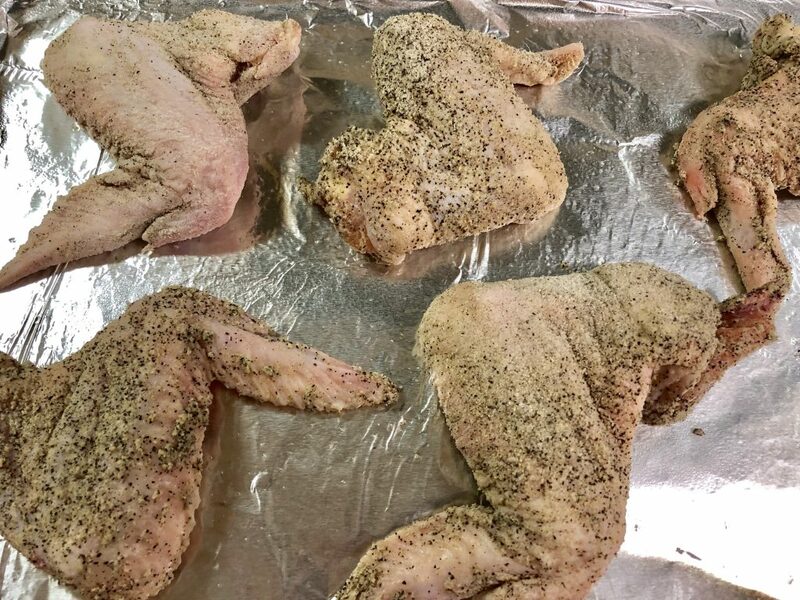 Add the combined spices and chicken to a large ziploc bag, seal and shake to coat. 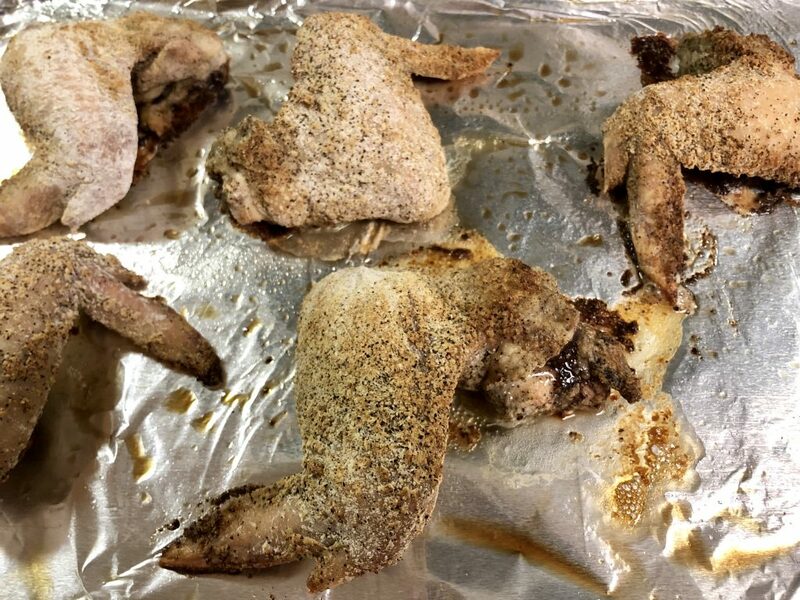 Place the coated wings on the prepared baking sheet and bake for 30 minutes. 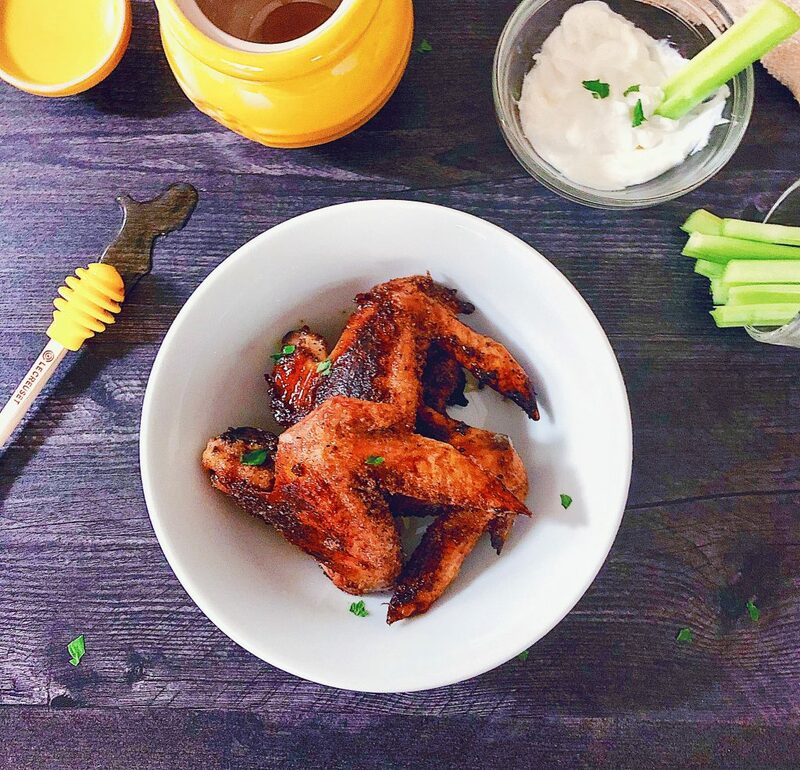 Flip the wings and bake for another 30 minutes. While the wings are baking, prepare the sauce. 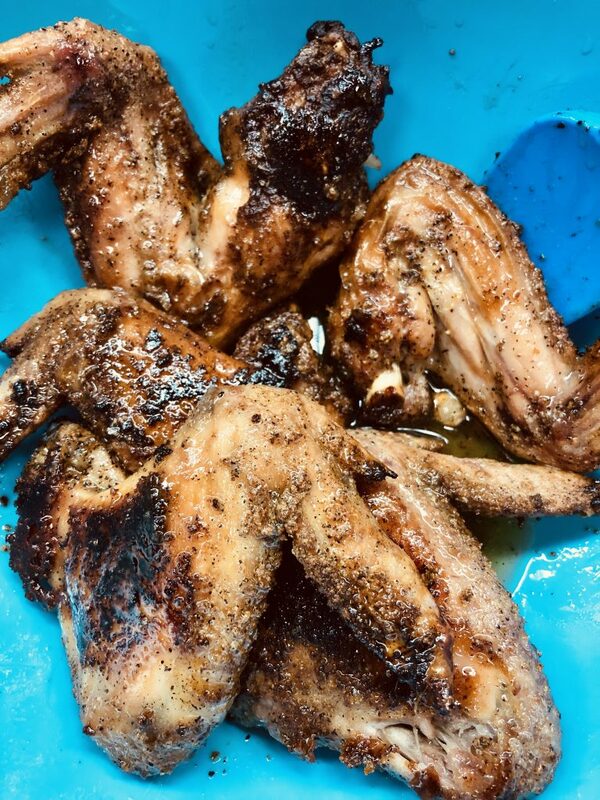 Remove the cooked wings form the oven and toss in the prepared sauce. Serve and enjoy!